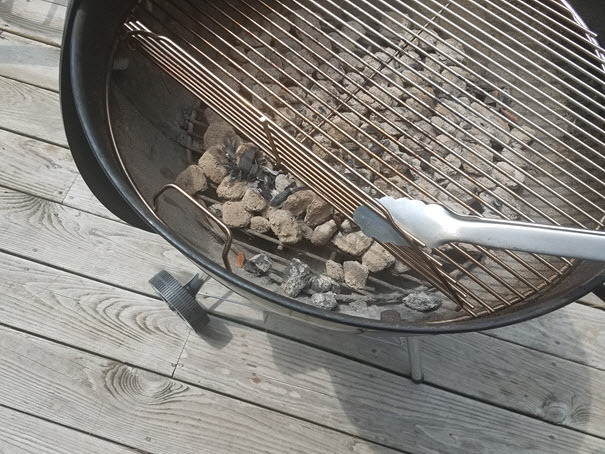 Ever since I saw Stephen Raichlen, the grilling and BBQ enthusiast, use a Weber Hinged Cooking Grate on his grilling show, I wanted to own one. 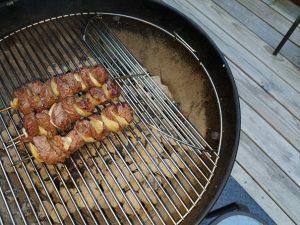 I thought it was really convenient that he could add soaked smoking wood chips into his Weber grill while the charcoal was hot via the hinged sections of the grate. 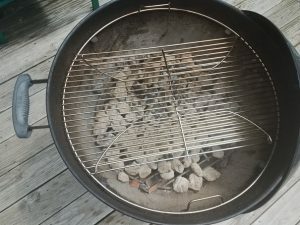 My only problem was I didn’t own a 22” Weber Charcoal Kettle Grill at the time and the Weber Hinged Cooking Grate only worked with this grill. 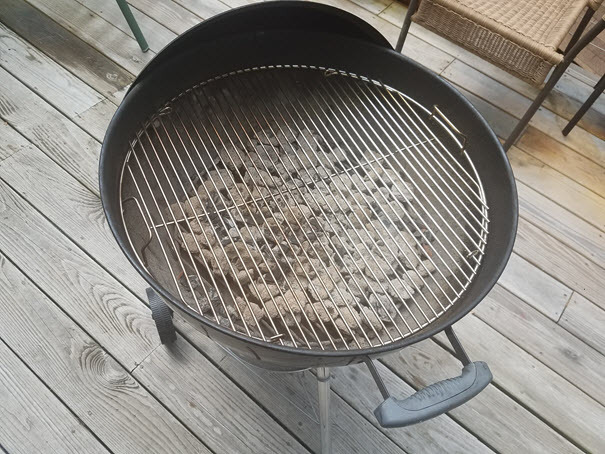 I only owned a Weber 18″ One Touch Silver Grill. Eventually I decided to purchase what I consider the best charcoal grill that is out there in the market – the Weber 22” Charcoal Kettle Grill. 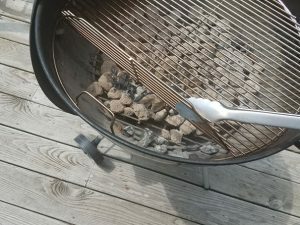 One of the main reasons I did so was because once I had this grill I could buy all of the accessories that go with this size grill. 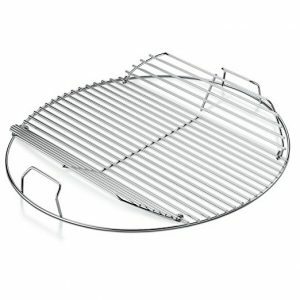 The Weber Hinged Cooking Grate is one of those accessories! 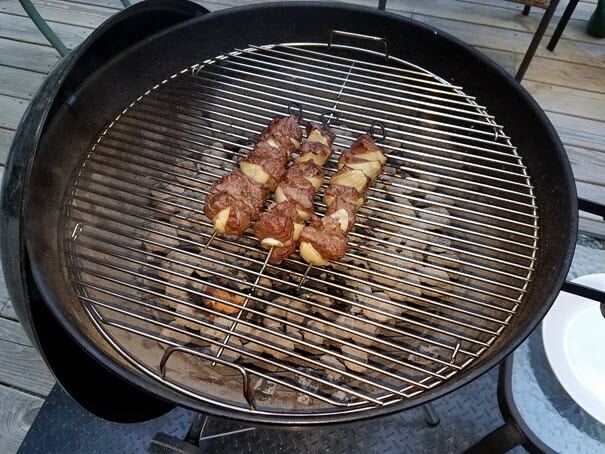 Check out my youTube video below which shows me using my Weber Hinged Cooking Grate! The final product after grilling! 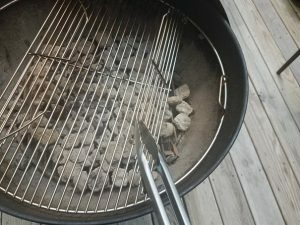 If you want to upgrade your Weber 22″ Charcoal Kettle Grill with a reasonably-priced grilling accessory this Weber Hinged Cooking Grate is a great addition to your grilling arsenal. I love mine and use it all the time!